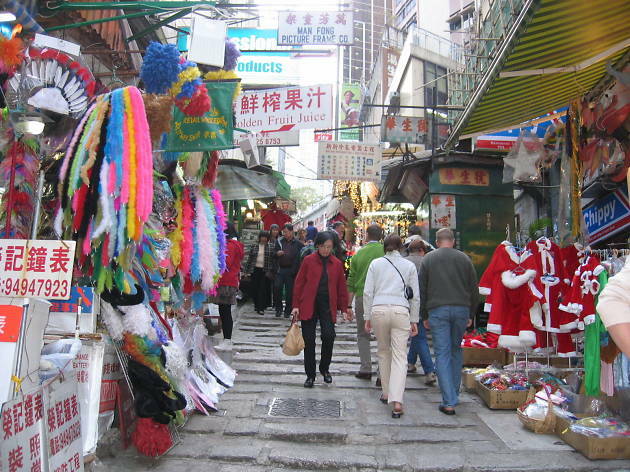 The iconic stone slabs street heaves with stalls selling costumes and props on both sides of the street, offering outrageous outfits and popular masks for any occasion. 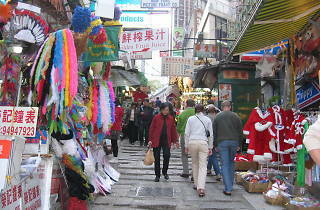 Hats, capes, wigs, feather boas – you name it, Pottinger street has it. Pop in all the different shops before picking the cheapest option. There’s plenty of party supplies available as well.